October 16 Update – Congrats XC team! 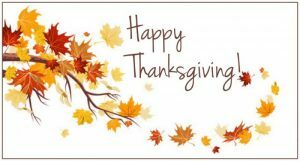 Wishing all students, families, and staff a happy thanksgiving this long weekend! Hope you are able to take extra time for family, friends, and some relaxation. See you all on Tuesday, October 9. September 17th Update – Good luck to all fall sports teams! A week of classes has now passed and the rhythm of the school year has hopeful returned to everyone’s home by now! All of the fall extracurricular programs are now starting their seasons. Good luck to all involved and thank you volunteers and fans for your support! Thank you to Purolator for selecting the Peacock Tornado Football team to help “Tackle Hunger” this Saturday at the Saskatchewan Roughriders home game. Friday Focus Sept 7 – Attendance Matters! Each Friday I provide a brief (less than a minute) update of something important to remember from the last week of school. Thanks for viewing!